Now is summer holiday, are you enjoying it? Or, you are working like superman? Are your clients trying to get the lower price from you? Are they require low MOQ to let you feel like impossible mission? 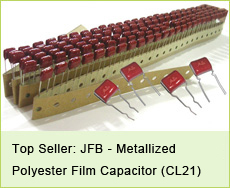 Please, let jb Capacitors Company helps you with all these difficult situations. 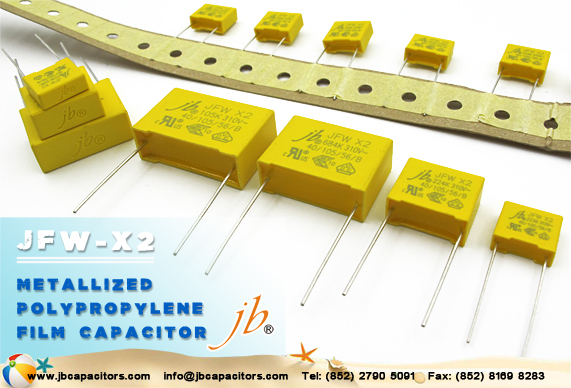 We can provide you the competitive price with low MOQ. Moreover, jb’s lead time is unspeakable fast. 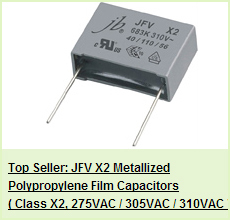 Let’s get to the main topic, I am introducing you our best seller, JFW - X2 Metallized Polypropylene Film Capacitor (310VAC). 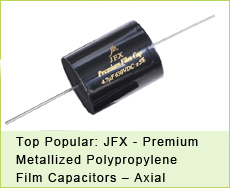 For detail information, please contact us without hesitate, thanks.